Still own the HTC 8XT? Back in July of 2013, this handset was one of the first Windows Phone 8 models available from Sprint, where it was an exclusive to the carrier. The model is still awaiting the update to Windows Phone 8.1. 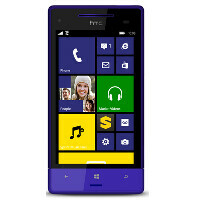 Earlier this year, the buzz around the water cooler was to expect the HTC 8XT to be updated by the summer. But the hot weather came and went with no update sent to the phone. So now here we are in the early days of December, and a tweet from HTC might just warm the chill away from those still toting the 8XT. According to the message sent from the manufacturer, the HTC 8XT will be receiving Windows Phone 8.1 some time this month. Perhaps the best thing about Windows Phone 8.1, is that it brings voice-activated virtual personal assistant Cortana to the device. If you've been without Cortana, once the update hits you will recognize the huge difference in how you use your phone. And you'll also appreciate all of the other goodies that come with Windows Phone 8.1. If you own the HTC 8XT keep your eyes peeled for the update, which could come at any time. Sprint needs more diversity among its smartphone OS OEMs selection. Work on your reading comprehension. This article says nothing about whether or not Sprint still sells WP devices. I don't know if they still this phone or not, but it doesn't need to be sold to be updated. Work on spotting sarcasm? Perhaps someone should have made you aware that sarcasm isn't the most really apparent thing through text. Microsoft should revive this model. Rather than cheap ugly style of Nokia XL. Only one thing to say, puke. Windows Phone breaks all designs, but is horrendous. Not useful design. Windows Phone is doomed.